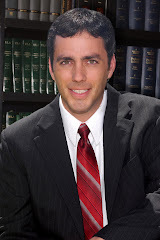 Greg Ryan & Associates, Attorneys at Law, LLLC: The Hawaii Family Court is Moving to Kapolei. The Hawaii Family Court is Moving to Kapolei. Nine O'ahu Family Court judges and their support staffs will be moved to the new $100 million Kapolei Family Court early next year. The project also includes a new juvenile detention facility to replace the undersized and aging detention home on Alder Street in Honolulu. The Judiciary plans to move the court and leave behind a "triage" judge assigned to work in Honolulu to hear emergency matters and process time-sensitive paperwork, including requests for restraining orders against violent household members. Some local attorneys believe that the transfer of most or all of the Family Court services to Kapolei, due principally to transportation and other problems greatly exacerbated by a very bad economy, will gravely damage the ability of the Family Court to provide justice to the many, many thousands of Hawaii's families and children who are entitled to, and need, the protection of the Family Court. The court handles divorces, child custody matters, restraining orders, juvenile and other family criminal proceedings, paternity disputes and a host of other issues involving the most sensitive and personal of legal problems. Each year the Family Court serves over 200,000 parents, children and others. In the last fiscal year alone there were over 19,000 new filings in the Family Court. Nine Family Court judges on O'ahu handle more than 2,000 new cases each year, and every new case is important. Critics say that transferring all that activity to one end of the island, without leaving resources closer to the center of Honolulu, will work a terrible hardship on families. "The real economic harm will be suffered by those unrepresented and by the less-established practitioners, whose clients may not have the same economic resources as ours do." Chief Justice Ronald T. Moon explained the plans for the "triage" judge who stays in Honolulu to handle some Family Court functions are still "a work in progress." All Family Court judges will be in Kapolei, and early plans were to assign a lower court or part-time judge to the triage work. Budget restrictions "have complicated these plans," Moon said. Document filings will be accepted in Honolulu for Family Court matters and a document "courier service" will be established between the old and new courts, he said. And two Honolulu courtrooms "will be upgraded with computer communication technology to facilitate video conferencing and video on-record appearances between Honolulu and Kapolei," he said. Kids First, the family court's education program for divorcing parents and their children, will take place on alternating weeks at Kapolei and at the downtown Circuit Court complex, according to Moon. Now it is held Downtown every Wednesday afternoon.